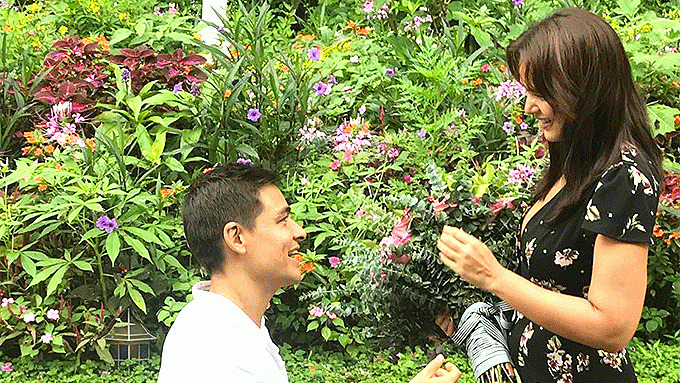 Iza Calzado on wedding plans now that she's engaged: "Apparently in the Philippines, you need a minimum of one year. 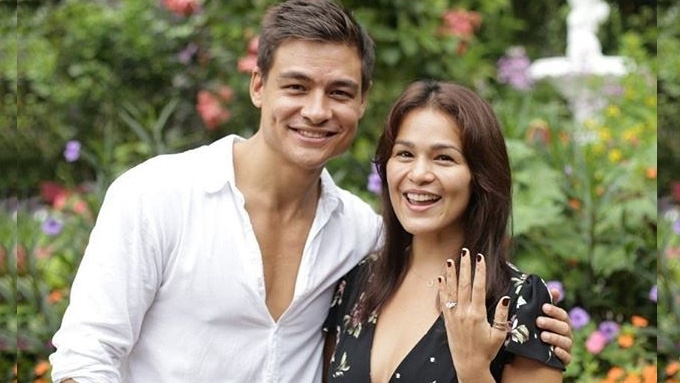 So, matagal pa."
Iza Calzado is only just beginning to feel the excitement of being engaged. "It feels like honeymoon stage again!" she told PEP.ph (Philippine Entertainment Portal). 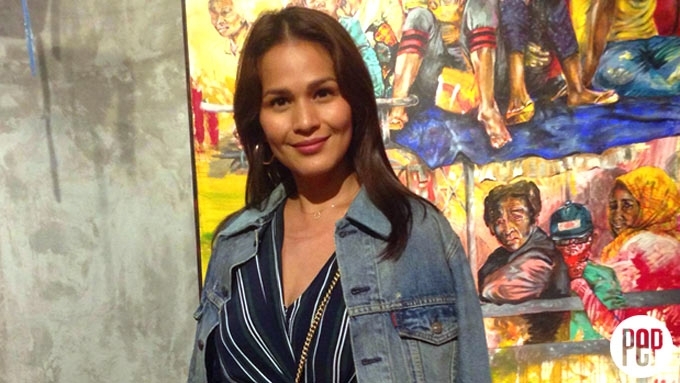 The Kapamilya actress recalled her engagement day as she spoke with PEP.ph at the opening of Solenn Heussaff’s second solo art exhibit in Shangri-La at the Fort last October 19. Iza and her fiancé Ben Wintle made social media super kilig when they became engaged last October 8. The British entrepreneur had gathered their loved ones at Sonya’s Garden in Tagaytay City to make it happen. The 35-year-old actress recounted what was racing through her mind when she saw Ben getting down on one knee. "Because I thought... I’ve done a lot of scenes where I’ve got engaged. "Parang, normally, iiyak ka agad. "Ito, hindi, parang out-of-body experience siya. "Hindi ko nalaman talaga until I experienced it." But the emotions kicked in when Iza remembered the happy times she and her family had had in the place. She related, “As I kind of took a moment, stepped back, then it hit me. "Sonya’s is special for us... that was the last place my family and I had a complete family photo. “2009 pa… my dad was still alive, so it really went well. “PERFECT TIME.” Iza, 35, said her engagement happened at the right time. “But I thought it would be when we take our vacation or something. About their wedding plans, Iza said they're taking it "very slow." “Apparently in the Philippines, you need a minimum of one year.